Why Choose Jim Frank Bail Bonds? For over 30 years, Jim Frank Bail Bonds has been a trusted name for criminal, traffic, appeal and transfer bond services. Our clients turn to us for our discretion, our trustworthiness, our honest, upfront rates, and our commitment to protecting the cosigner’s best interests. We serve clients in Frederick, Baltimore, Columbia, Westminster, Hagerstown, Chambersburg, and all of Maryland, as well as Pennsylvania and across the nation. Jim Frank is a full-service bail bondsman, acting independently, not as a subagent. What does this mean for you? Subagents do not have the authority to stand in front of a judge and ask for reinstatement, should a client miss a court date due to an honest mistake. In addition, we are able to offer the best rates allowable by law, because we’ve removed the middleman and the markup from the equation. These are just some of the many reasons why we have been trusted for criminal, traffic, appeal and transfer bail bond services for over 30 years. When someone you care about is being held in another state, finding a reliable, trustworthy bail bond company in that state may prove challenging. You may be in Maryland, but someone you care about is being held in another state. Instead of finding a company to work with that you aren’t familiar with, let Jim Frank Bail Bonds handle the entire process. The bond will be transferred to the location where your loved one is being held, and Jim Frank Bail Bonds makes all the required calls on your behalf. We know that emergency bail bonds services aren’t going to conveniently fit in between normal working hours, and that’s why Jim Frank Bail Bonds is available around the clock, nationwide. If we are not personally licensed in the state you need assistance in, we have the resources in place to get the job done. Jim Frank Bail Bonds is trusted around the nation and is able to post bail bonds in nearly every state, except those which do not allow independent bail bondsmen to operate (Illinois, Michigan, Kentucky, Washington D.C. and Minnesota). 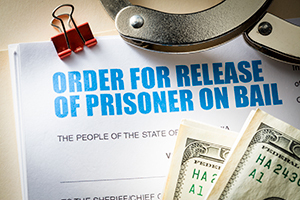 When the freedom of someone you care about is at stake, you need a bail bond company you can trust, with the experience to get the job done right. Contact us today at 301-416-8148 for Maryland and 717-977-3215 for Pennsylvania.